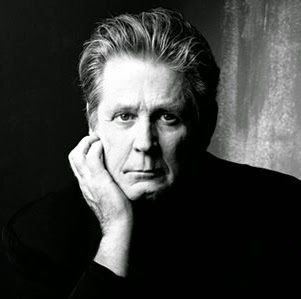 Brian Wilson spent an hour or so on Twitter Monday afternoon answering questions submitted by the general public. Wilson has a new album, No Pier Pressure, coming out on April 7 and a movie about his life, Love and Mercy, being released June 5 but many of the questions naturally centered around his days with the Beach Boys. While it wasn't quite as telling (or scathing) as David Crosby's recent multi-day answerathon, there were still some interesting revelations although, in many answers, Brian's brevity kept him well below the 140-character limit. On the songwriting process - "I usually do it at the studio and do it on keyboards." On whether he ever wrote on any other instruments - "no, not even a bass. Just piano." On his most difficult song to write - "God Only Knows because it was a very complex chord pattern." It's also his all-time favorite bass line. On the song he would most like to re-write - "I would re-write Let Him Run Wild from @TheBeachBoys." On his biggest influence for his most intimate chord progressions - "just Gershwin." On how he got a muted piano harpsichord sound - "we put scotch tape on the keys and gave it a deadened sound." On how he learned to arrange music - "from listening to The Four Freshmen records. I'd listen to records and then play them on the piano." On the musical inspiration for Surfer Girl - "it was actually inspired by Herb Alpert. The melody of Tell It to the Birds was the inspiration." On the Beach Boys song he is most proud of - "Surfin' USA is one of them." On his favorite session - "The California Girls session. I liked the harmonies and loved the song." On his favorite Beach Boys song that he didn't write - "Trader by Carl." On his favorite scene from the upcoming film Love & Mercy - "I like the scene where Melinda and I got married." On allowing his darker days to be portrayed in Love & Mercy - "it took a lot of courage. We decided if we were gonna do it, it had to be honest or we didn't want to do it." On his favorite media for music - "I prefer LPs." On the songs he likes to perform live - "#HeroesandVillians, #SurfinUSA and #GoodVibrations are some favorites. #SailAway from the new album #NoPierPressure." On the cough heard in the song Wendy - "Dennis did. I just thought it was funny so I kept it on the record." On his three desert island discs - "@RandyNewman Sail Away, Switched on Bach, and #philspector Christmas album." On the music his children like - "my kids like rap and pop music but of course my music too!" On his future plans - "I plan to do another album this year some time!"